2016 Eurovision Song Contest Semi Final allocation draw: What does it mean for Ireland? 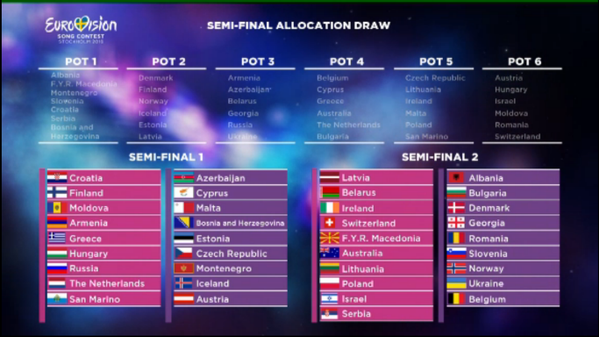 The semi final allocation draw for the 2016 Eurovision Song Contest took place in Stockholm earlier this morning. Analysis of the draw for 2016 Eurovision Song Contest semi finals. Which countries does Ireland want to be drawn with and which do they need to avoid?